According to Wikipedia, "Iconoclasm is the social belief in the importance of the destruction of icons and other images or monuments, most frequently for religious or political reasons." The removal of paintings and statues, the renaming of streets, and even the #MeToo movement are examples that we have entered a new period of iconoclasm. I still remember my 2006 visit to the Hagia Sophia, the former basilica in Constantinople, and the subsequent mosque and current museum in Istanbul. All Christian icons and paintings below 2-3 meters have been destroyed. Given the enormous size of this former church, most Christian icons and paintings are, however, still around. It is a definite must-see. 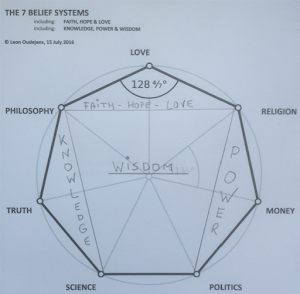 Considering Wikipedia's definition above, there is a close link with the 7 Belief systems, being: Love, Money, Philosophy, Politics, Religion, Science and the Truth. In that context, iconoclasm projects today's (politically correct) Truth to our history and/or past, for which we are ashamed today. To some extent, this feels like "whitewashing" (my 2017 blog). Iconoclasm could also be viewed as an example of reverse psychology and psychological projection (my 2015 blog). A recent example is the new "Polish legislation making it a crime to suggest that Poland bore any responsibility for atrocities" despite "Auschwitz-Birkenau, which was the largest Nazi concentration camp on Polish soil" (NYT). I think, feel and believe there is also a link between iconoclasm and our fundamental disbelief towards the past. Whitewashing our past is a logical consequence of this disbelief. Apart from our disbelief for the past, we also have strong - and contradicting - beliefs today. This link between both was the topic of yesterday's blog. There is another link between iconoclasm, and the great filter of political correctness, and the 7 Belief systems; see my recent blog. The above results in this diagram (right). I must assume that the 7 Belief systems are becoming more extreme as iconoclasm is the occasional exception rather than its rule. "It's coming around again. Change is in the air. It doesn't always need a name. You don't have to see it to know it's there. But you can feel it."